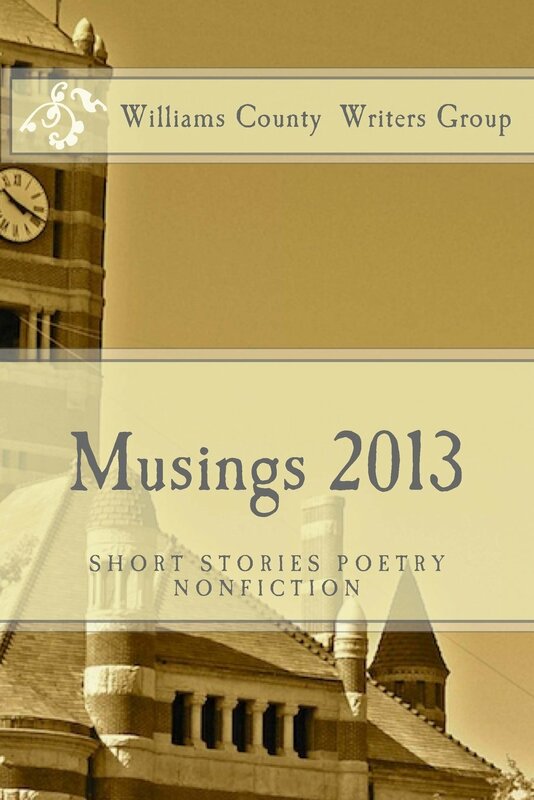 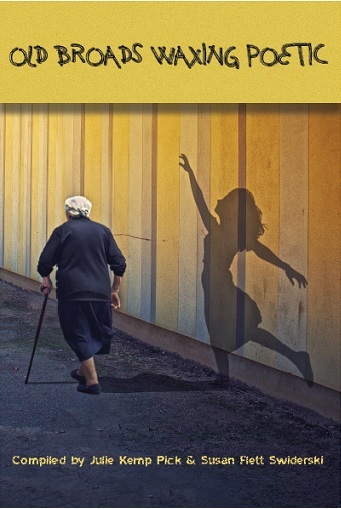 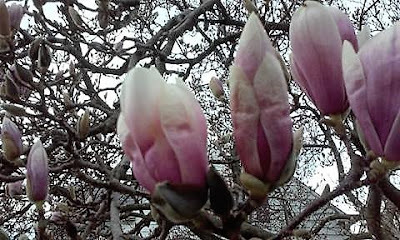 promising the hope of renewal. 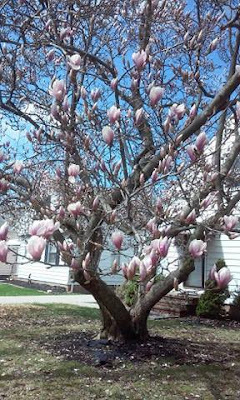 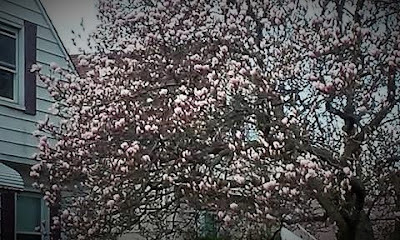 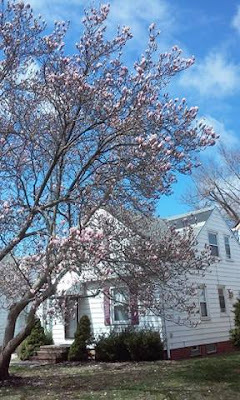 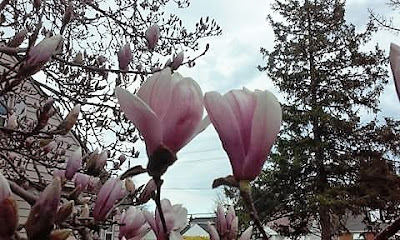 This magnolia tree is in my new next door neighbor's front yard! 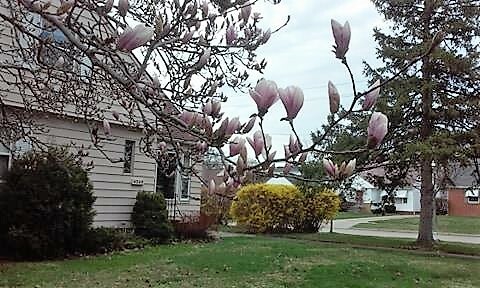 In the photo below, you can see the front of my house next door with the yellow forsythia bushes forming a hedge along the side of it.